Sometimes, due to age or infirmity, people lose the ability to make sound decisions. When a person is unable to make good decisions about his or her financial or personal affairs or has become susceptible to fraud or undue influence, the court can establish a conservatorship for that individual, and name a person to be responsible for the conservatorship. If you believe your loved one may need a conservatorship, the attorneys at The Burbank Firm, L.C. can help your assess the situation and take appropriate action. Contact us today for a consultation. From our office in Burbank, we serve clients in the San Fernando Valley and across California. Before you seek to establish a conservatorship, we can help you to explore less expensive alternatives. 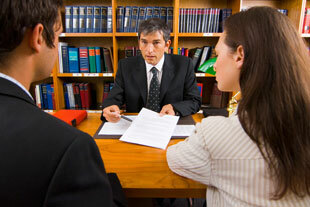 At The Burbank Firm, L.C., our attorneys can assist you in determining your best course of action. Once you have established that a conservatorship is necessary, the next step is to determine who the conservator will be and what decisions that person will make on behalf of the protected person. Because a conservatorship takes away some or all of an adult’s civil rights, court hearings are necessary and may require a jury trial. Our lawyers can guide you through these legal proceedings and can help you protect your loved one from elder abuse, fraud, and neglect. Contact us to schedule an initial consultation with an experienced lawyer about creating a conservatorship.